Ivacy VPN is a Singapore based VPN service provider established in 2007. It’s a first company to provide Split Tunneling feature along its VPN services. Hence, it allows users to choose which data to send via VPN service and which via their ISP service. Since then IvacyVPN has launched many other features like Internet Kills Switch, Secure DNS and many others. Other outstanding features include an unlimited server switching between its more than 250 servers in over 50 locations, optimized P2P servers, unlimited data transfer, 5 multi logins and other features. Ivacy VPN has more than 250 servers and they are located in more than 50 locations around the world. Some of the places include Canada, USA and Panama in North America. China, Hong Kong, India, Indonesia, Singapore, Korea, UAE and Saudi Arabia in Asia. In Europe Ivacy VPN has servers in countries like Denmark, Latvia, Germany, France, UK, Switzerland and many others. It has servers also in South America, countries like Brazil, Chile, Cameron and Venezuela. As well as number of locations in Africa, including South Africa, Egypt, Ghana and others. IvacyVPN is compatible with operating systems like Windows and Mac. As well as mobile phone operating systems on Android and iOS. It supports also other devices. This includes, gaming consoles like PS3, Xbox, Roku, Boxee, also you can use Ivacy on your Blackberry and Linux devices. Ivacy VPN can be also set up on more of the VPN routers and Smart TVs. 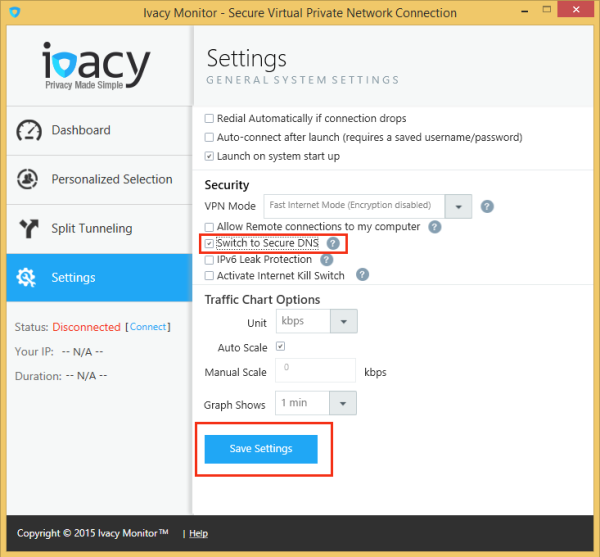 You can find all setup tutorials on the Ivacy VPN website. It’s a great service to share with a family or friends as it offers up to 5 simultaneous connections for one user account. IvacyVPN supports multiple security protocols, it includes PPTP, SSTP, L2TP, OpenVPN and IKEv2. Each of the protocols can be used for different purposes, starting from secure and anonymous internet browsing, file sharing, unblocking websites and content online to streaming live events. Ivacy VPN provides a sufficient encryption level to protect yourself on the web, it uses an AES-256-CBC cipher together with a standard RSA-2048 key for all OpenVPN security protocol connections. Ivacy VPN is created to provide you with the best speeds. Therefore, internet browsing and online privacy stays at the highest levels. It’s also great tool to unblock websites and content online. Its fast speeds lets you to stream movies and tv-shows from a popular on-demand services like Netflix and Hulu as well as watch BBC iPlayer from anywhere in the world. Even if you are planning to stream live sports or other events, Ivacy will allow you to do it with the fastest speeds. As we know in many countries P2P and Torrenting is illegal. Therefore, VPN service comes very handy if you still wish to download the newest movies, music and TV-shows. Ivacy VPN is one of the best VPN providers for torrenting as it even provides optimized P2P servers which allows you to download content without suffering from speed losses. IvacyVPN provides Kill Switch function. It works as an automatic off button for the internet connection in case of the VPN network connection loss. Ivacy VPN clams to be the first VPN company that started to provide a Split Tunneling feature. It lets its users choose which data will be routed through VPN tunnel and which can go through the local ISP service. As an add-on, Ivacy VPN offers Secure DNS feature to prevent DNS leak. To activate Secure DNS on Windows computer you need to launch its application, access settings in the dialer, under the security settings, select the check box “Switch to Secure DNS” and you are ready to connect. 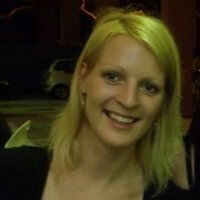 IvacyVPN has a great 24/7 customer service. You can get in touch with its sales team and customer support through its website’s live chat. Ivacy VPN has accounts and is active on all the largest social media platforms. You can follow IvacyVPN on Twitter, Facebook and Google Plus. If you have any questions you can reach out through these platforms too. Ivacy VPN offers one subscription plan with options to sign up for 1 month, 12 month or 24 months. The pricing varies depending on the length of the plan you choose. A standard 1 month plan costs $11.95, it automatically renews until you decide to cancel the plan. 12 month plan costs $3.33 per month. The 24 month plan has a 83% limited time discount in comparison to one month plan, and it only costs $1.66 per month. All Ivacy VPN subscription plans come with a risk free 7 day money back guarantee. You can sign up with an IvacyVPN and if you are not happy with its service, you can request for a full refund within 7 days. Ivacy VPN service provider accepts multiple payment options. You can use your Visa, MasterCard, American Express and other credit cards. IvacyVPN also accepts PayPal and Bitcoin payments, plus you can pay using Paymentwall, Perfect Money and Web Money. Ivacy VPN website offers a good visual design and relevant content, it also provides its clients with simple navigation and great images. On the website’s homepage you will find the current offer, features, customer reviews, software download page, support and pricing options. You’ll find all necessary information within IvacyVPN website. However, if you still have additional questions, you can go to Content US page and find the most convenient way for you to get in touch with its customer service. Signing up process to Ivacy VPN is very simple and fast. First of all, to start with, you need to go to IvacyVPN website and pick a relevant subscription plan, then add your email address and password to set up an account and choose a payment method to settle the fee. After you have signed up, you’ll receive a confirmation email from the IvacyVPN with details of your purchase. Ivacy VPN is one of the best VPN providers by its features. However, its speed could be better. You can do practically anything starting from protecting your internet identity, unblocking sites and content, streaming sports like Formula One, French Open, Champions League and others if you are okay with some interruptions here and there. IvacyVPN service provides a great security protocol support and over 250 servers around the world. In addition, it also provides great Split Tunneling feature and Kill Switch. It doesn’t offer a free VPN trial but you can take an advantage of Ivacy VPN 7 day money back guarantee. i would like to make believe that I am using IP from New York City. Is that possible?